John Grigg (1838–1920) was a keen amateur astronomer based in Thames, Coromandel. He discovered or co-discovered three comets in the first decade of the 20th century. 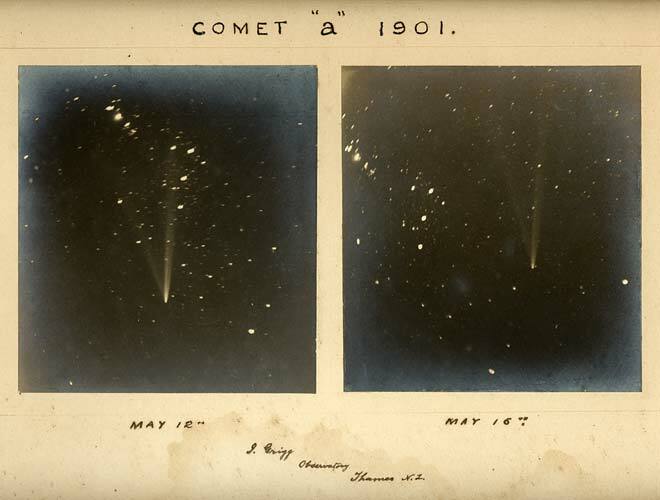 He was a pioneer of astrophotography, and took these photographs of a comet in May 1901.